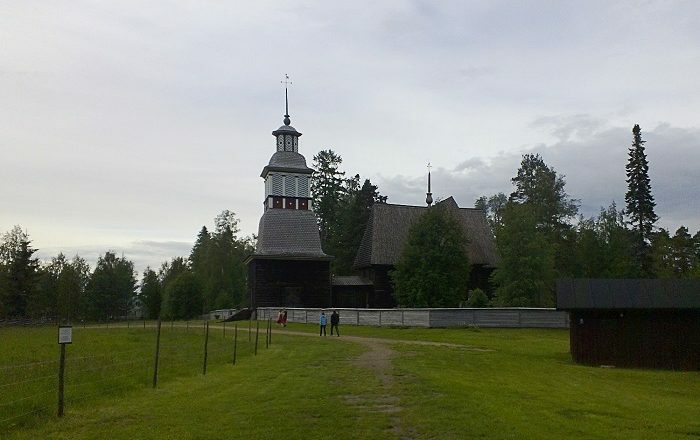 The Petäjävesi Old Church is a beautiful and tall wooden church that is located in the Municipality of Petäjävesi in the southern part of the Republic of Finland. 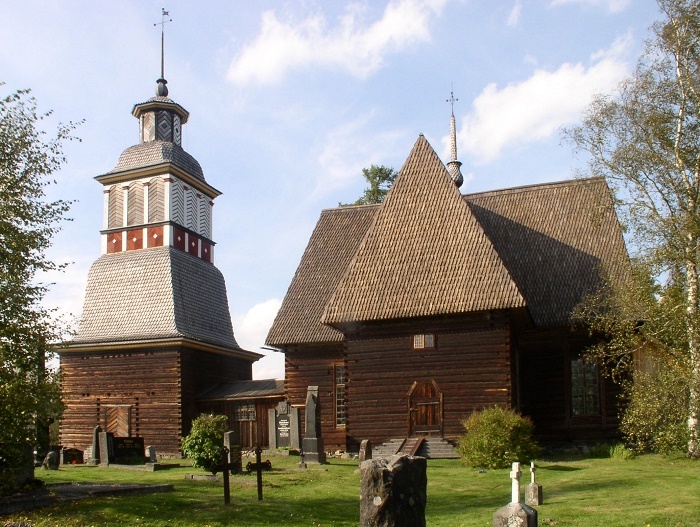 Built between 1763 and 1765 when the region was part of the historical province of Tavastia under the rule of Sweden, it was made even more interesting with the addition of the bell tower which was built in 1821 according to the design of Erkki Leppänen. 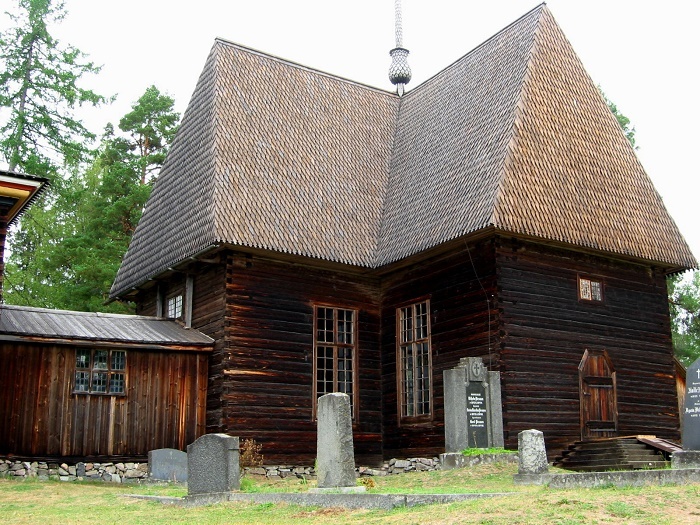 At first it was intended to be a simple chapel for the area, as it was allowed to the locals by the crown to build a graveyard and a very small village church at their own expense, however, it took them almost 35 years until they began with the construction of the church. 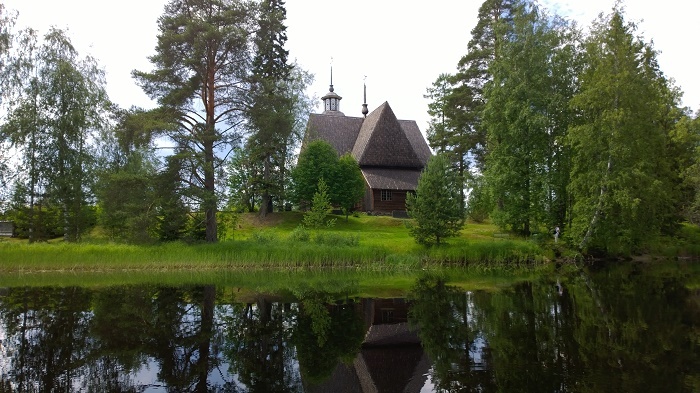 Jaakko Klemetinpoika Leppänen who was a local church master builder from Vesanka is considered to be the person who designed the church, and the cross-type floor plan follows the architectural style which began to be introduced in the Nordic countries right at the time when it was built, and the high roof resembles an early Gothic style church. 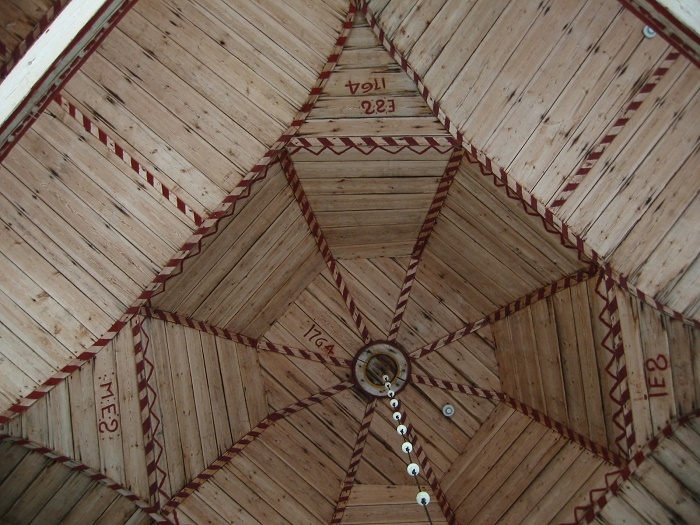 Nevertheless, with the intricate perspectives, vaulting and a central cupola, there is also the combination of Renaissance and Baroque styles which can be seen inside, and the interior’s hand-carved log surfaces with their silky patina and the silvery sheen on the seasoned walls lend the hall its unique atmosphere, which is further enhanced by the slightly irregular placement of the floor beams and pews. 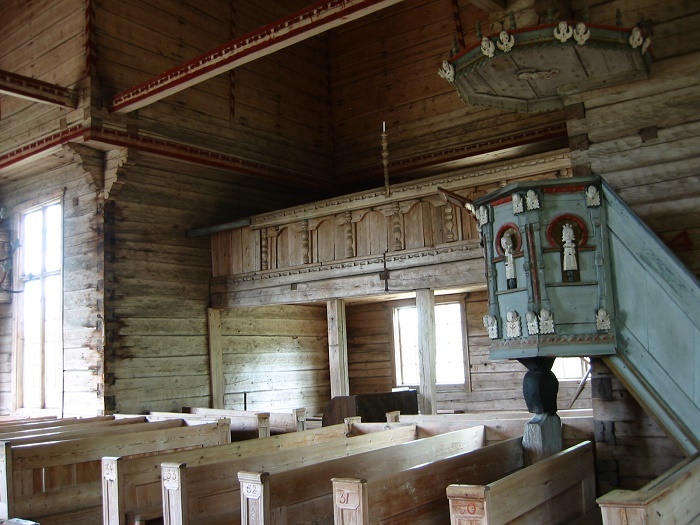 The adaption of forms and techniques of varied provenance makes this church a multi-layered landmark and an outstanding example of Nordic church architecture, and as it is built entirely of pine wood, worked in a constructive and economical manner, it was added to the UNESCO World Heritage List in 1994. 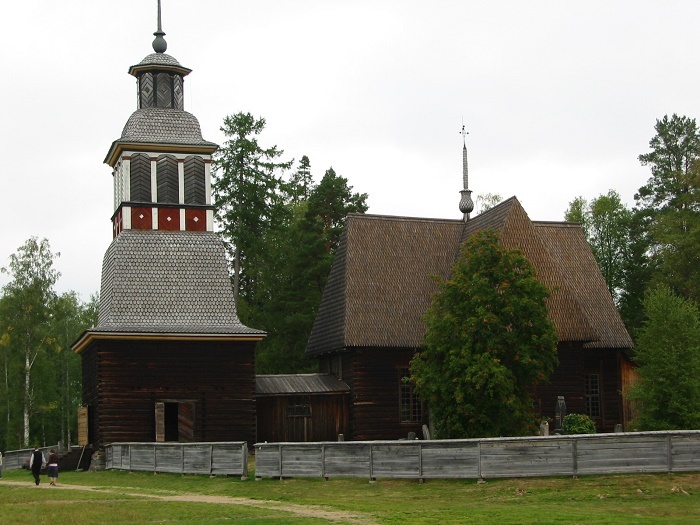 Due to the negligence the church was abandoned for a long time, when in 1920s the Austrian art historian Josef Strzygowski noticed the architectural and historical value and beauty of it, which he brought to the attention of a bigger audience and since 1929 it has been restored several times. 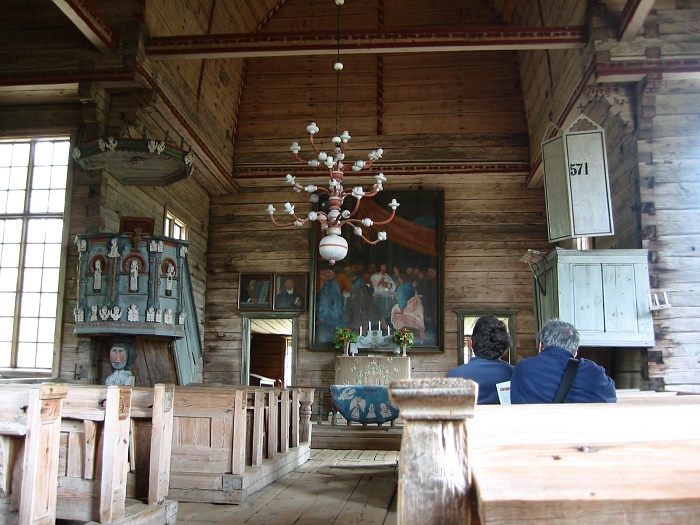 Nowadays, the church is being used only in summertime, while the churchyard is used throughout the year making it an intriguing place for tourists to see something historical which was preserved right on time before it was lost forever.